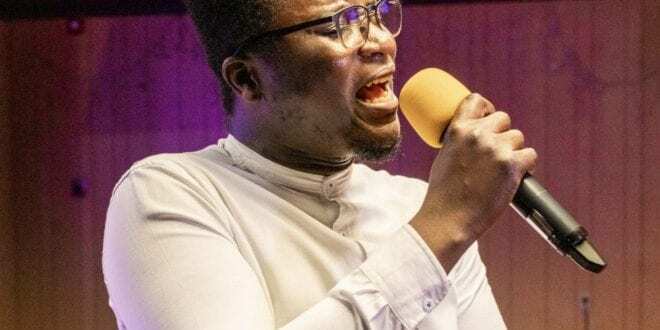 Kojo Yeboah, an anointed Ghanaian gospel artiste based in the United States is gearing up towards his major event dubbed ‘Spirit Rebirth’, a revival and worship event that seeks to ignite the Spirit of God in this Generation. 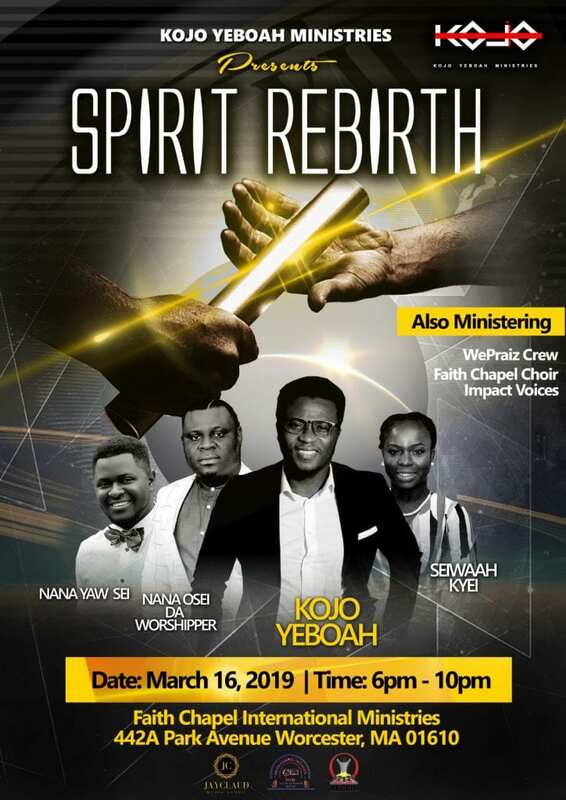 According to Kojo, Spirit Rebirth seeks to take us back to days where the children of God fear not to proclaim the name of God, to the days where every Christian knows the value in carrying the cross. 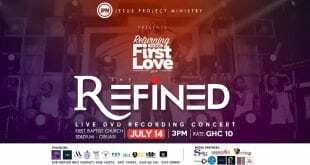 This is a great vision to revive the church once again all around the globe, a vision that was birthed through a young up and coming artist whom you will fall in love with not for his looks but the power and the anointing of God that rest in him. It has become a norm to do things the way everyone does it just to fit into the society we have created. Christian homes are breaking anyhow, Christian’s have become a laughing stock in some part of the world and the children of God are losing their way all because of the lost covenant we have with God. The event is scheduled to come off on March 16 at the Faith Chapel International Ministries, 442A Park Avenue Worcester in the United State and promises to be out of the ordinary with the manifestation of the fullness of God. 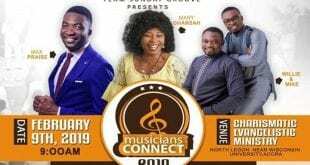 Other anointed minstrels and worshippers such as Nana Yaw Sei, Nana Osei Da Worshipper and Serwaah Kyei will also be ministering. 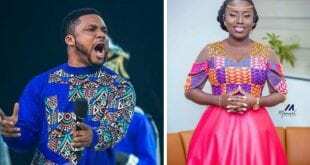 Frederick K. Yeboah Jr better known as Kojo Yeboah on stage is a Ghanaian-American gospel singer and song writer. 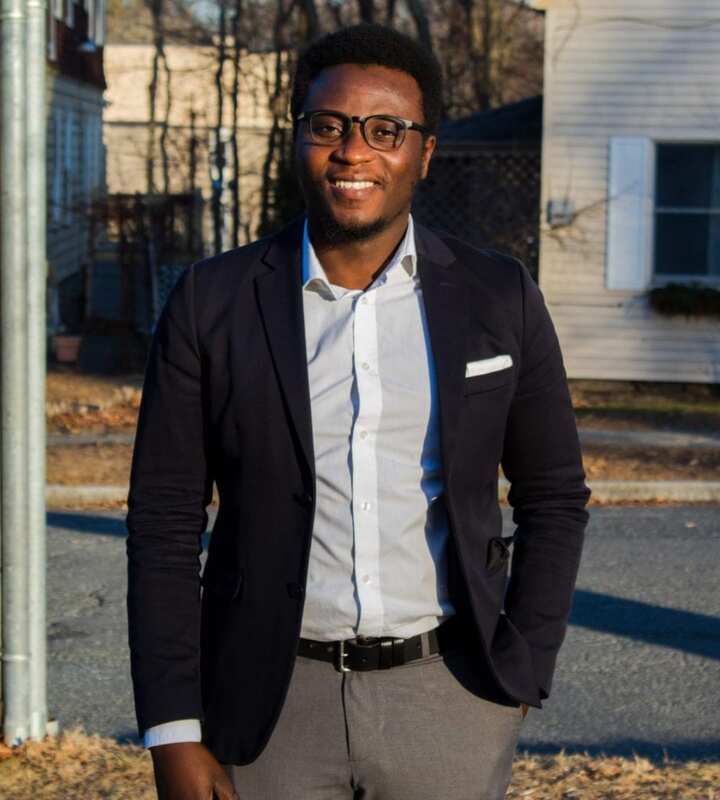 He was born in Ghana- Kumasi but moved to the United States where he is based. He is the leader and founder of WePraiz Crew Inc., a multi-cultural Christian band in Worcester, Massachusetts. Kojo is a rare talent and the future of African gospel and urban contemporary gospel.